“Whether we should borrow is a question for every individual. 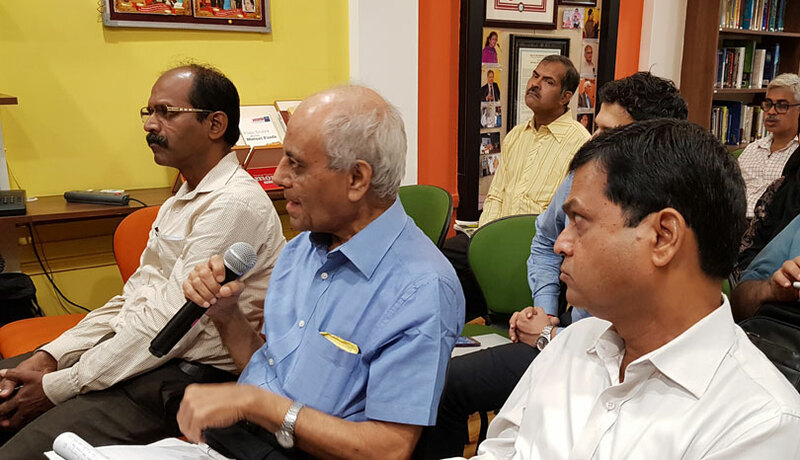 It is not a question restricted to individuals who have no other resources available,” says DG Kale, retired CGM from Reserve Bank of India. Even a person with resources can go for borrowing, because it entirely depends on the efficiency with which capital is allocated. 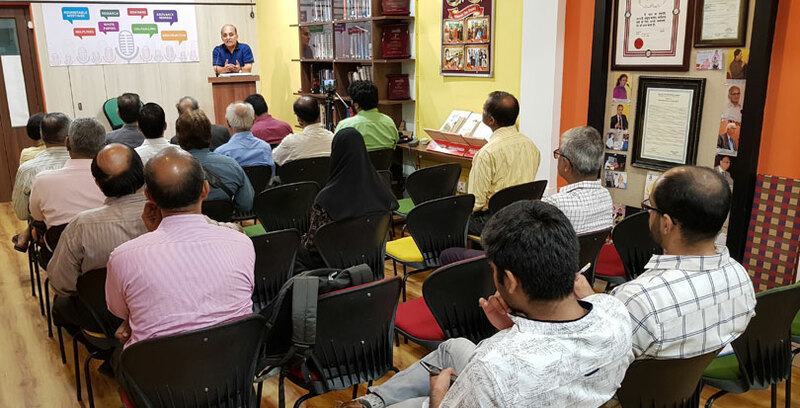 He was giving a talk on “Optimising your Borrowings” at Moneylife Foundation and he firmly believes that the decision to borrow entirely depends on how carefully one has planned their finances. When speaking about finances of a particular individual there are essentially two clear portions - one is the absolute numbers and the other is the non financial aspect, based on which an individual is assessed. Mr Kale informed in his talk, that this is part and parcel of a standarised “assessment” that takes place with banks, credit or loan agencies. One of the foremost things to consider when thinking about borrowing from a financial institution, is the psychological self and determining how much one knows about oneself. Mr Kale is of the belief, that starting here would allow a person to understand how the opposing party might assess them in the loan application process. It is important to note that the other person would be looking at an individual impersonally, only looking at the financial numbers that one has provided. Based on those numbers, an analysis is done to determine how a particular individual would behave in the future. It may be surprise to many, that these days even the social media profile of the applicant is taken under consideration when a the applicant is assessed. Mr Kale says, “The more number of friends you have, the less you can depend on them. Fewer the friends, higher the level of dependence. That is the psychology of finance.” He means, those that chase numbers on social media i.e. focus more on the number of friends, are likely to have lesser number of people they can depend on in times of a financial crisis. Although it has not been scientifically proven, Mr Kale is of the opinion that if your friends on social media have bad credit ratings and make poor financial choices, then you tend to follow them down the same path. Any person assessing an application for loans or credit cards would also take a look at the applicant’s payment history on utility bills. They are looking at this data to determine whether a person has defaulted on such bills or has an outstanding dues for the last 6 months. Mr Kale’s advice for those wanting to be good borrowers and maintain a decent credit rating is never default on any utility bill payments. One way to ensure this is to setup up automated debits for all utility bill payments. Furthermore, the limit on a credit card should be no more than 3 months expenditure of the cardholder. It is important to note, that this expenditure is not the salary of a person but is rather the total expenses a person incurs over a period of 3 months. Mr Kale suggests that a person should consider the first month as the average usage amount on a card, the second month as the outstanding amount to be paid and the third month should be used as a buffer. A person should also try their best to pay EMIs of other loans through their credit cards. This way your CIBIL score will be reinforced from both sides - your loan and your credit card. During his talk, Mr Kale also discussed several other factors that affect a personal credit assessment and also discussed the method of choosing an appropriate financial institution when considering to borrow. Among the factors discussed were age, the current inflation rate and the rate of interest offered by a particular institution. There are also other fringe factors that are considered such as the presence or absence of medical insurance, profession of the applicant, family backing etc. which are then consolidated down into a single score. This score allows the assessor to determine whether the applicant would be able to repay the loan in the given amount of time. Mr Kale explained the finer details of the borrowing process during his talk, which are too immense to be covered in their entirety in this report. 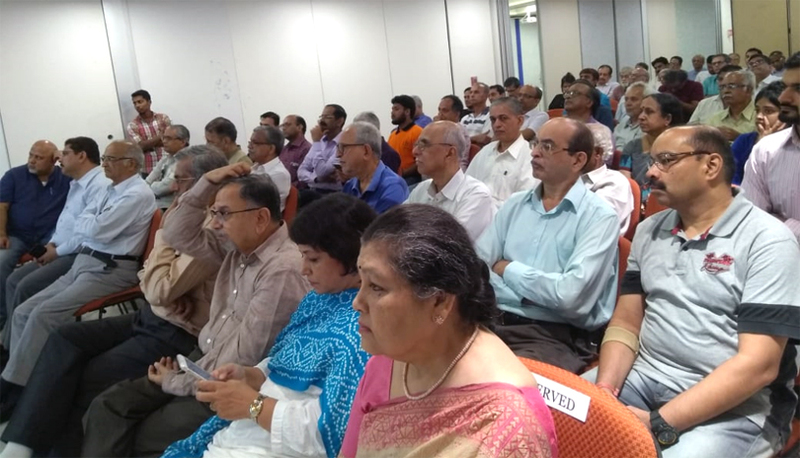 Readers can watch the video of the session on our YouTube channel https://www.youtube.com/user/MoneylifeTV/) for more in depth tips. "Social media is a good medium to bring about positive changes in the society. Using social media for public good is more than just reputation management - it is about relationship-building. However, we must remember that social media is just a 'medium' - an agency for communication. If crime takes place offline, it can only be 'reported' online - action will have to be taken offline," says Sunchika Pandey, a consultant for the Mumbai Police's social media team. 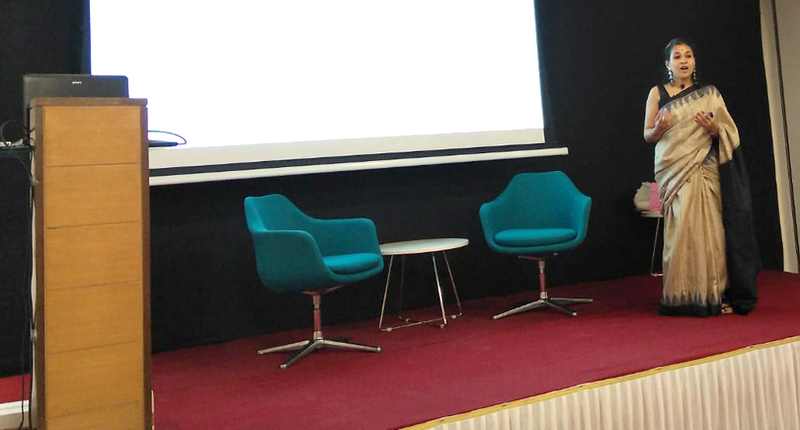 She was speaking at a special seminar organized by Moneylife Foundation on "How to Use Social Media for Public Good". 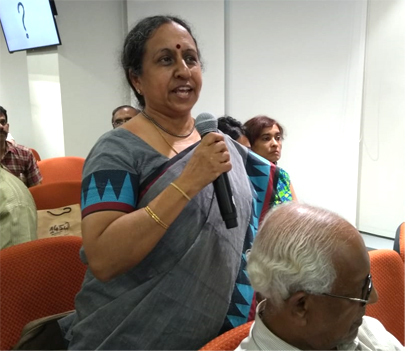 Ms Pandey, who was crime reporter at NDTV, delivered a clear message that the most powerful source used to "spread the word" is the one that directly connects to a larger audience which social media does efficiently if utilised properly. She is entrusted by Mumbai Police to keep their official Twitter account sensitive and politically correct. 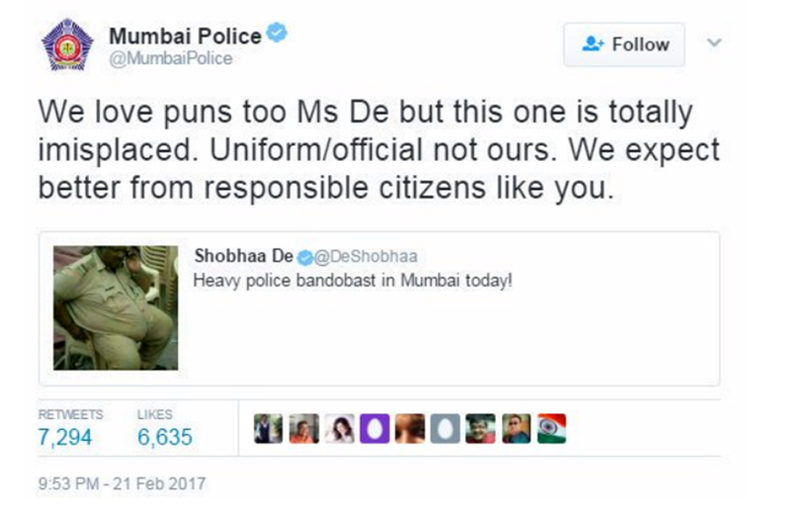 @MumbaiPolice handle on Twitter is quite well-known for its quick wit and smart handling of complaints that it receives. The twitter handle of Mumbai Police (@MumbaiPolice) has 4.64 million followers. The success of @MumbaiPolice has lead to a type of revolution with several government departments and police from various places joining Twitter and helping citizens. This also helped government to be more transparent and responsive while handling grievances. Fighting misinformation is one of the biggest challenge on social media, Ms Pandey says adding, "A lie can travel halfway around the world before the truth can get its boots on. In this age of rampant misinformation, it is important to identify and stop it before it travels and causes harm. Misinformation can originate from anywhere - including the verified handles. However, this does not mean it cannot be addressed. She shared an example of one tweet by writer Shobhaa De, who had posted a photo of a very fat person in khaki taking a nap on a chair. "A 'punny' tweet by Ms De needed some fixing - we did it for her," Ms Pandey said. Ms Pandey began the session talking about her journey as a journalist and a field researcher to a content marketer and finally a social media strategist. She spoke about how challenging it was a transformation it was to go from Police "force" to Police "Service. As she leads the team that handles Mumbai Police's Twitter handle, she talked in depth about how it has become important tool in changing public perception of Mumbai Police. Ms Pandey used 'Uttar Pradesh Twitter Seva' to illustrate the power of social media in increasing response time on complaints. She talked about how women in distress in UP have used twitter to highlight a case where women on a train were being abused. The twitter handle of UP police diligently responded to their complaints and immediately arrested the culprits. She also provided an example where UP police were able to reunite families by solving a missing persons' case. After a slew of examples displaying how twitter has been used by the Police in Mumbai and UP to fight crime, Ms Pandey highlighted how information on twitter should be taken with a grain of salt. "Before blindly sharing the information presented on twitter, one should consider whether it is factual or just rampant misinformation. Rumours and misinformation are a serious problem as they are readily shared by the gullible public," she said. Ms Pandey shared several examples of how the Mumbai Police twitter handle was fighting misinformation. Finally, she talked about how its important on social media to not consider the numbers - followers, and following - but by social outreach. She insisted that twitter is a medium where just a tweet a day is not going to be help your cause. "To be effective, one should not leave their social cause mid-way but support it the whole way through by following it up with tweets," she added. The session helped the attendees gain a better understanding of social media and the nuances of utilising this platform for initiating social change. With the world around us getting digitised rapidly, social media in the future will inevitability become an important tool to decide the success or failure of an idea. With something as powerful as social media available to everyone in the 21st century, it becomes imperative that it is utilised responsibly. 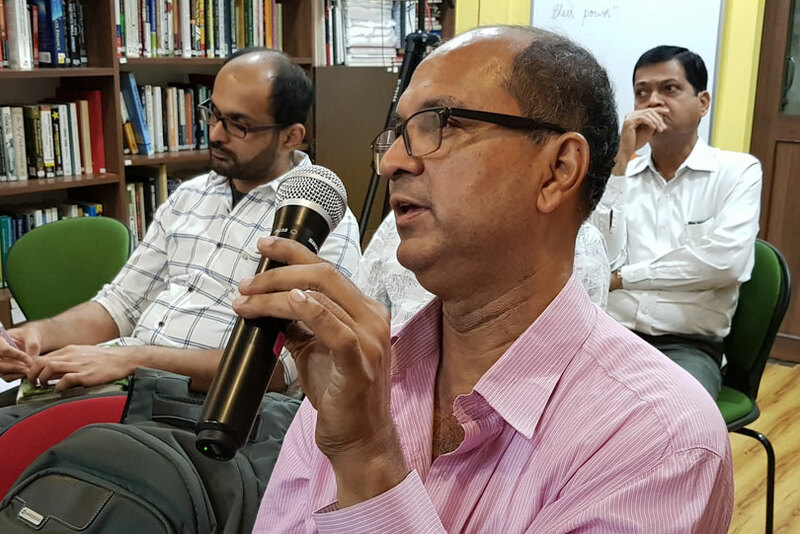 “Public Information Officers (PIOs) are humans and should develop a friendly rapport with Right to Information (RTI) applicants because this will go a long way for betterment of governance and delivery of necessary information,” says RTI activist Anil Galgali. 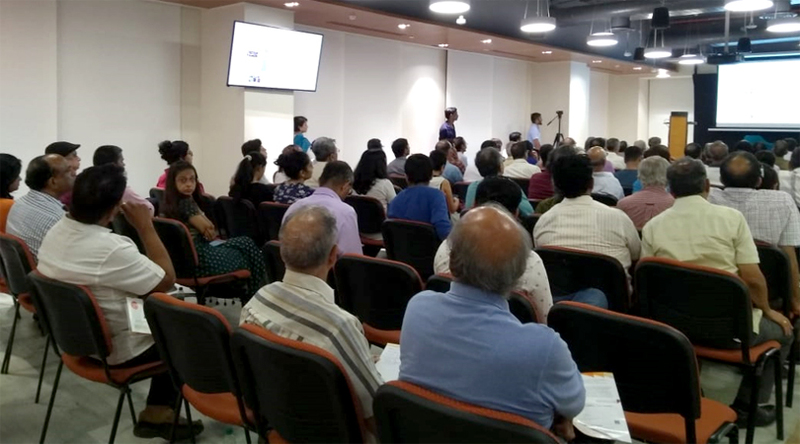 He was speaking at a special workshop organised for PIOs by Moneylife Foundation’s RTI Centre at Port Management Training Centre (PMTC) located in Mazgaon, Mumbai. Reply to the applications at the earliest possible because this is certainly lessening your work in the long-run. If the information needs any time for collation, request the applicant to visit you on a particular date and at specific time. Meanwhile, have the records ready for his inspection and if in case of your unavailability, have your colleague informed about such visit, so that he might guide the applicant in case, your busy with any other task or in a meeting. Section 11 (third party information) is a procedure and PIO should be able to determine and identify its applicability properly. During First Appellate (FA) hearing, the First Appellate Authority (FAA) should also call such third party to attend the hearing in case if he has replied the PIO to deny the information sought by that applicant. If necessary, provide the information or the letter seeking information fee amount to the applicant on e-mail. This will save time and also the postal cost.